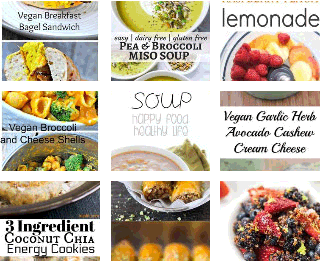 Start your cooking engines and rustle up one (or more) of these 20 Vegan Options For Your Labor Day BBQ. 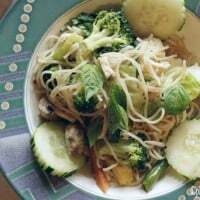 No meat (or dairy) necessary. Thanks to all of these lovely bloggers for their contributions. Although we tried to be careful, some of the recipes may have a little oil, so please adjust as you see fit. 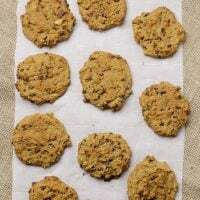 Most oil can be eliminated from any recipe and not affect the flavor. Get your forks ready! 1. 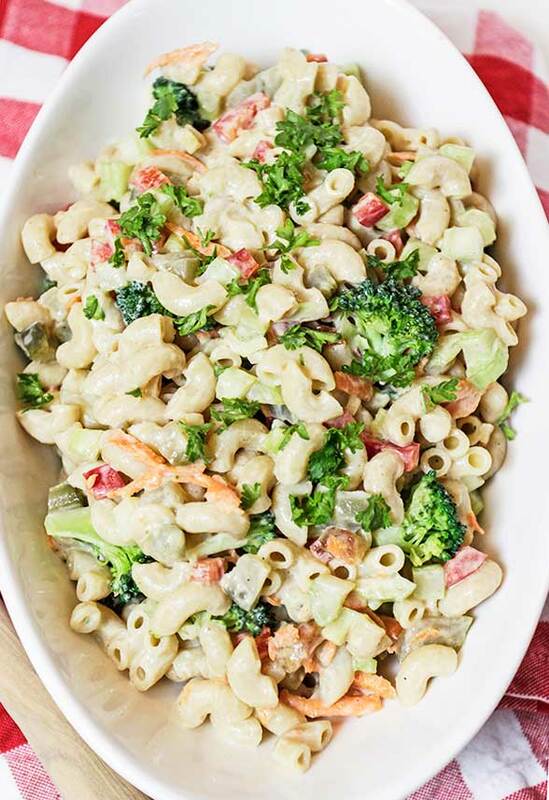 You can toss almost any veggies you have on hand into this Macaroni Salad, and it will come out delicious. 2. 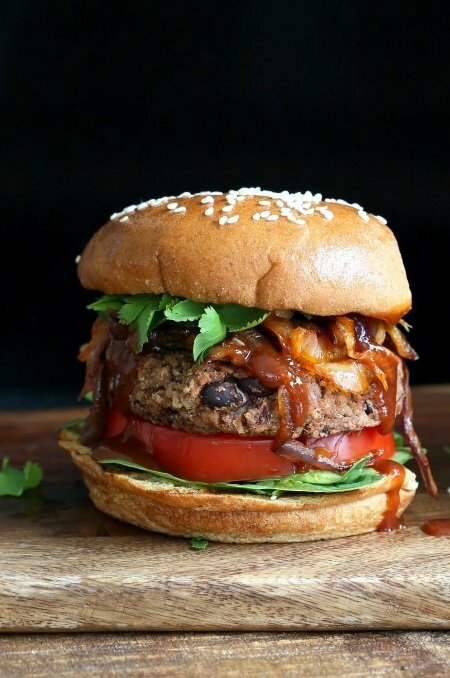 These Spicy Black Bean Burgers are loaded with flavor and goodness. 3. 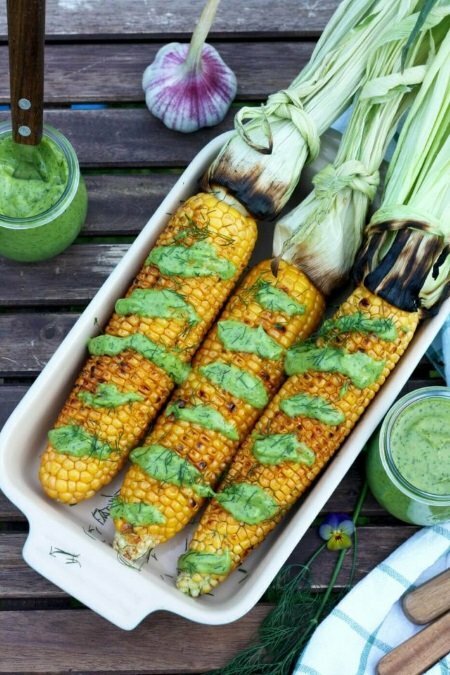 This Grilled Corn on the Cob recipe includes a creamy avocado dill dressing that looks so delicious. 4. 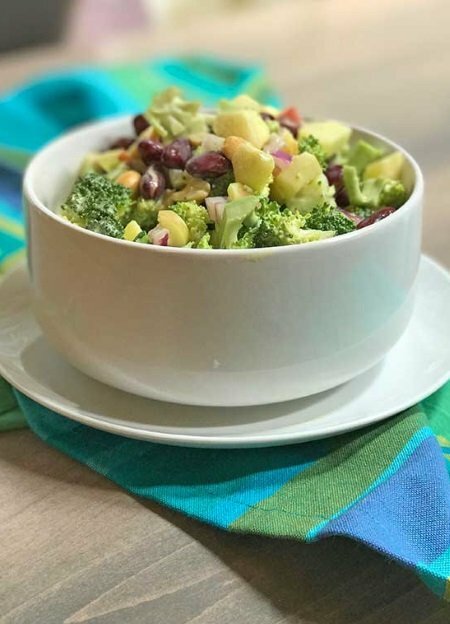 Broccoli Waldorf Salad is tangy and sweet, topped with apple and roasted peanuts. 5. 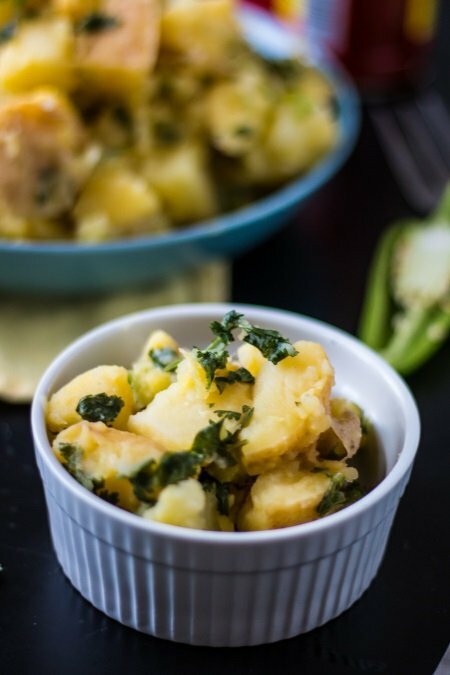 Roast your potatoes the night before for a quick and easy Roasted Potato Salad. 6. 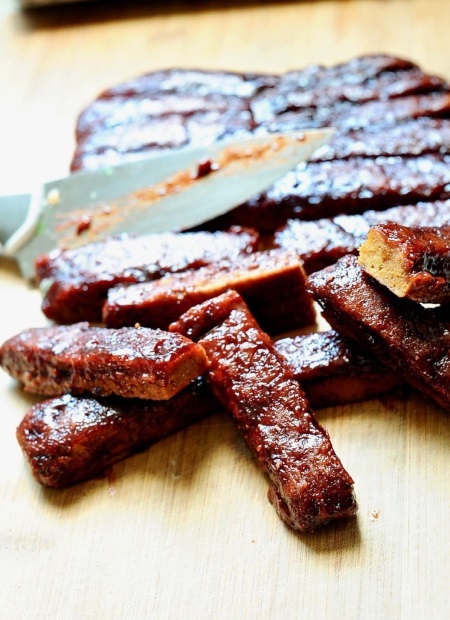 You’ll never guess the secret ingredient in these BBQ Vegan Ribs. 7. 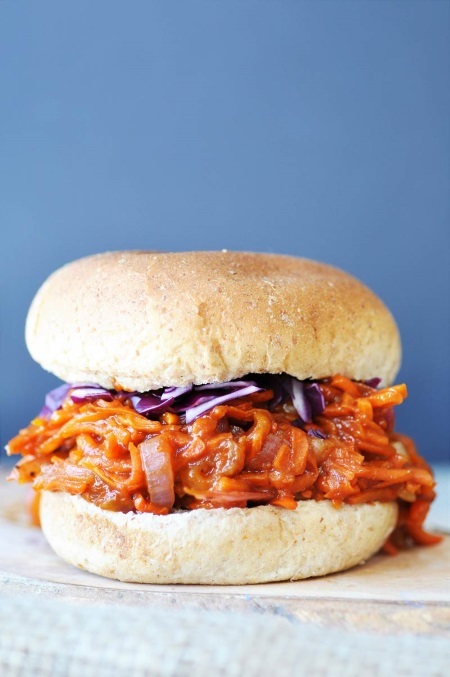 Pulled BBQ carrots are best served on a bun, tossed with some chopped red cabbage. 8. 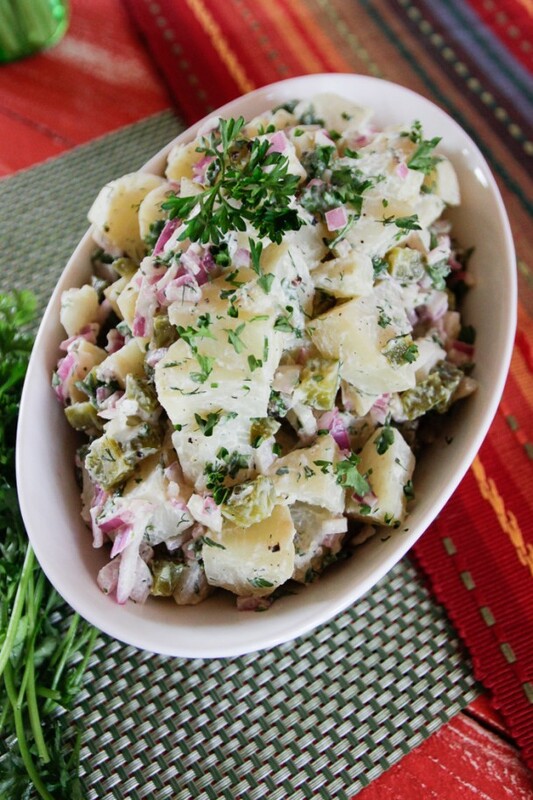 Southwest Potato Salad brings some spice to the traditional and boring recipe. 9. 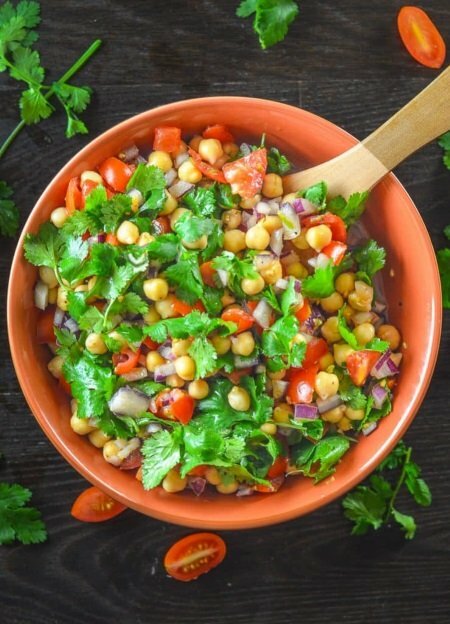 It only takes a few minutes to make this Tomato Chickpea Salad. 10. 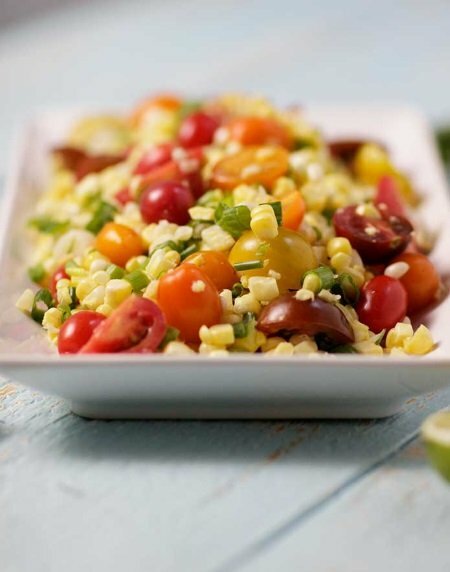 This simple Corn, Tomato Salad is a breeze to make and you can test your knife skills by cutting off the kernels from the cob. 11. 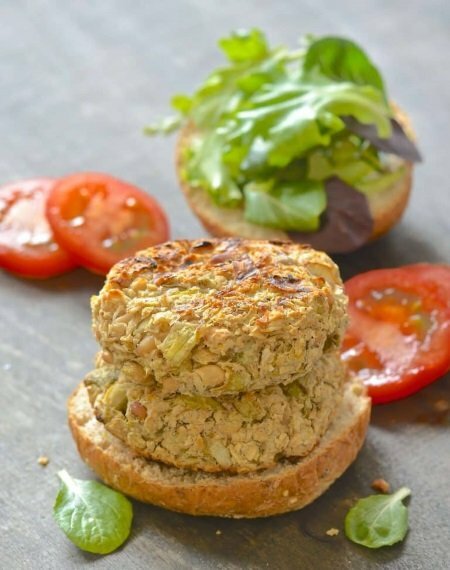 These White Bean Artichoke Burgers are best served with a scoop of guacamole & a dribble of hot sauce! 12. 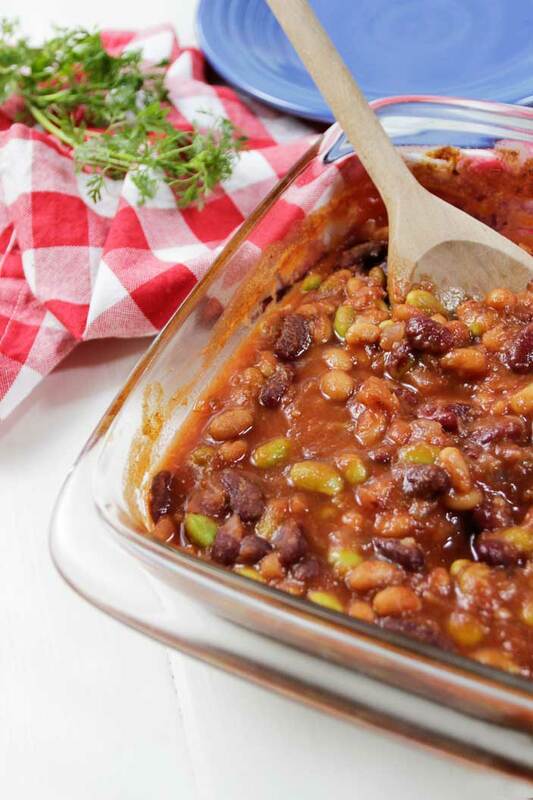 These BBQ Baked Beans are made with lima, baked and kidney beans, but you could add your favorite. 13. 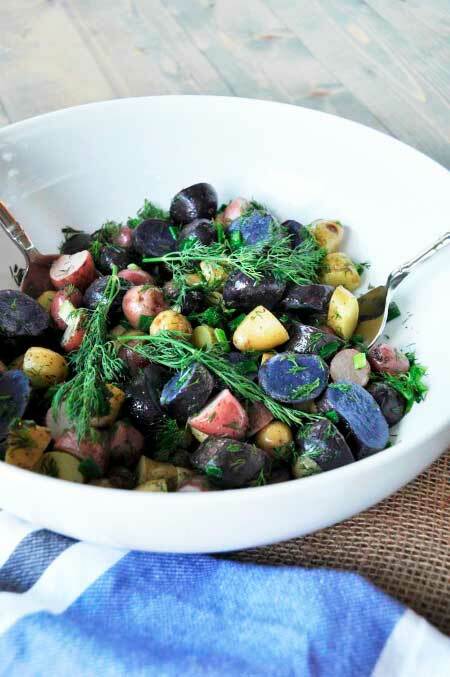 You need seven simple ingredients to make this Red, White, And Blue Potato Salad. 14. 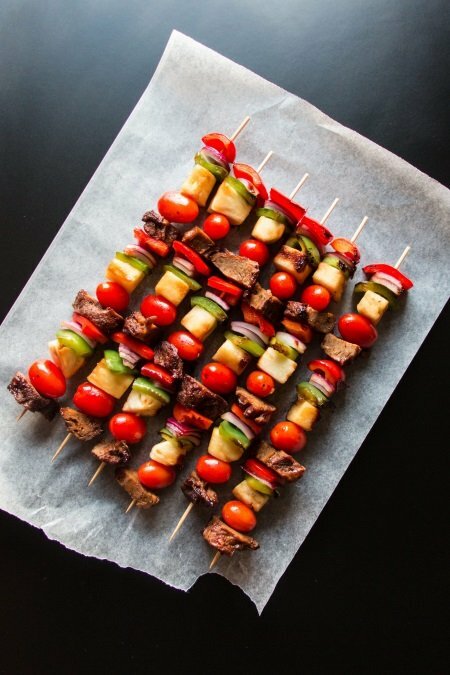 When you toss a bunch of amazing things on a stick and then grill, you get Hawaiian Seitan Skewers. 15. 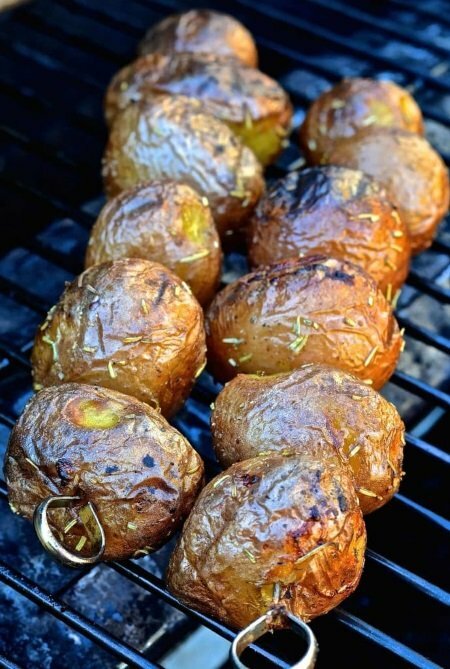 These Grilled Baby Potatoes are slightly charred & crispy on the outside & soft & creamy on the inside. 16. 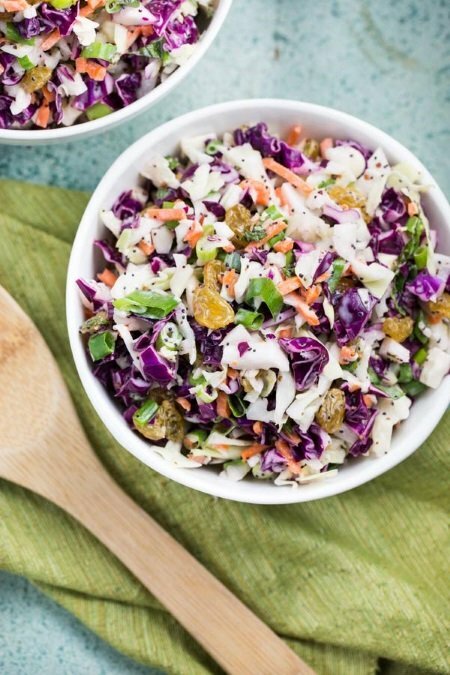 Super crunchy and sweet Poppyseed Coleslaw, has golden raisins in it for extra sweetness. 17. 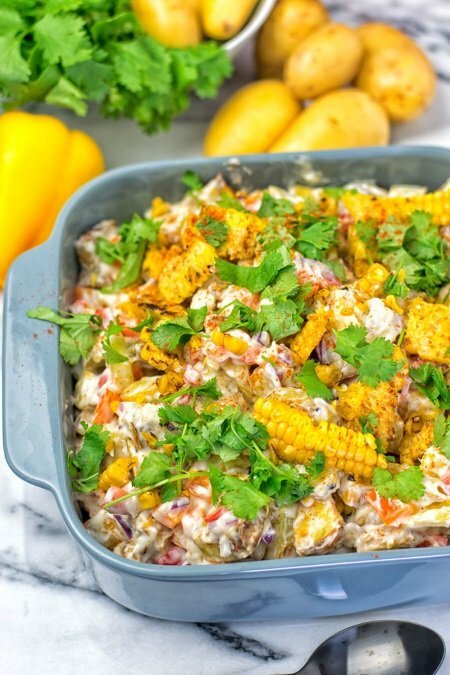 This Mexican Street Corn Potato Salad is infused with delectable roasted corn and cumin. 18. 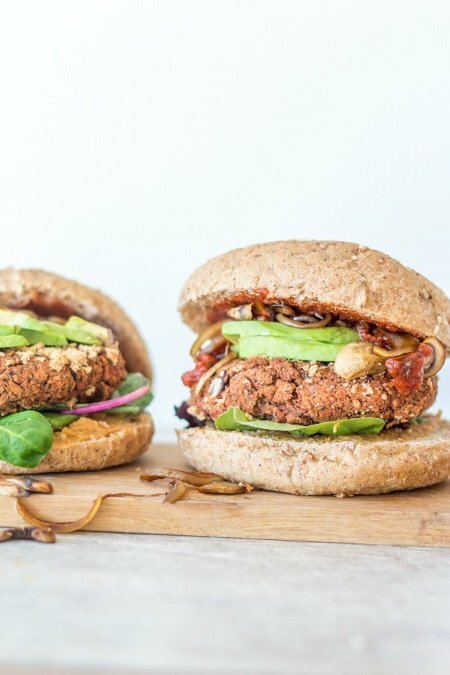 You can pan fry, bake or grill this delicious looking Veggie Burger. 19. 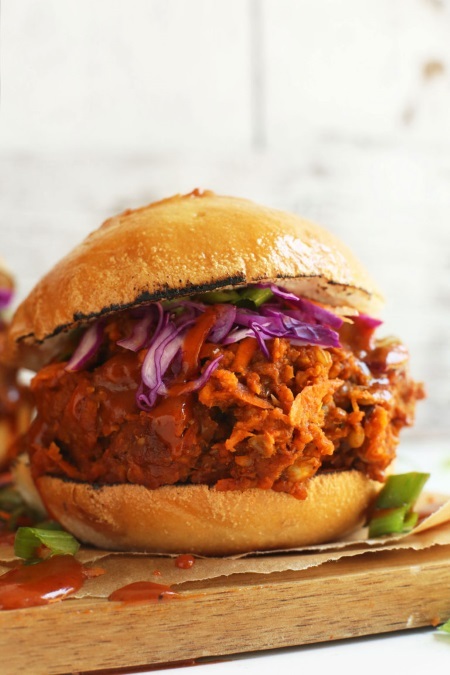 Using less than 10 ingredients this “Pulled Pork” Sandwich recipe is ready in just 45 minutes. 20. 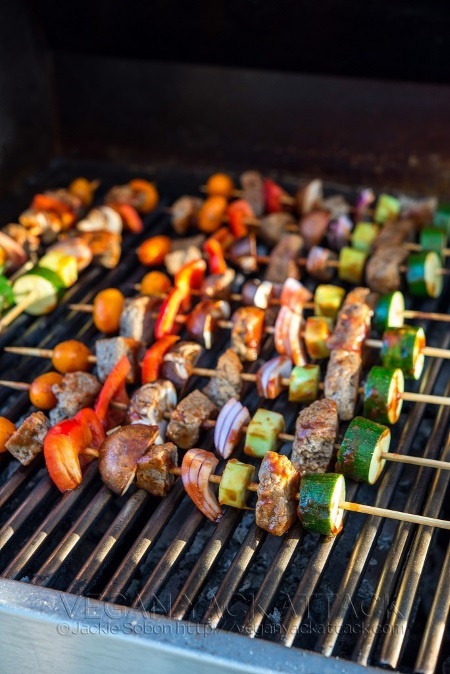 These Grilled BBQ Seitan Skewers with colorful veggies and savory sauce are perfect for grilling. 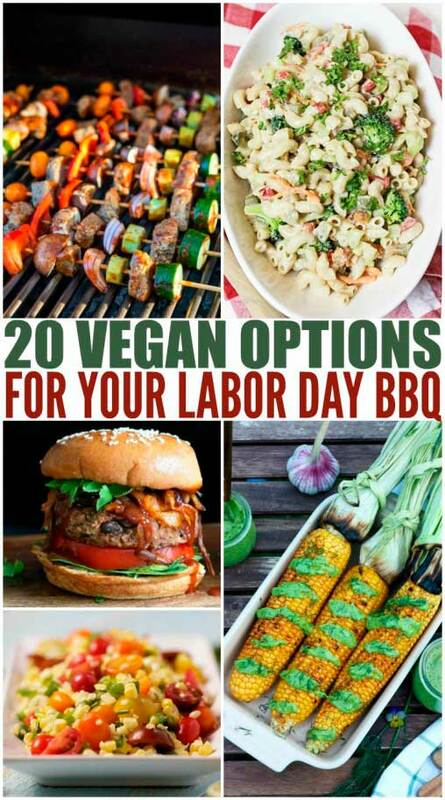 I’d love to hear your feedback in the comments below for this roundup of 20 Vegan Options For Your Labor Day BBQ! 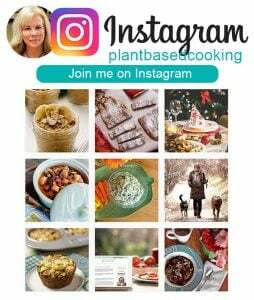 If you have a photo, post it on my Instagram page, tag me using the hashtag #plantbasedcooking in your caption, and I won’t miss it! 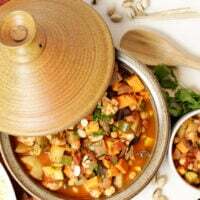 We had a rainy cool week end leading up to the Labour day and I wasn’t feeling very inspired until I saw your wonders Round-up. 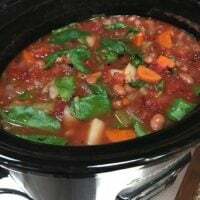 Thank you for the visual inspiration and recipes to make Labour Day shine! 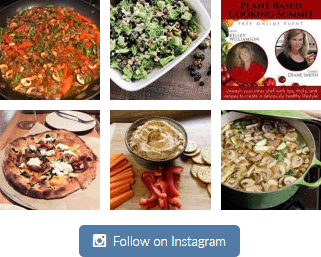 And thank you for including my “Ribz” recipe in such great company. Glad you’re feeling inspired and thanks for your contribution!! ???? They look so delicious!